City's Professor of Aeronautical Engineering and Head of Engineering has been recognised for his "outstanding and continuing contributions to the profession". 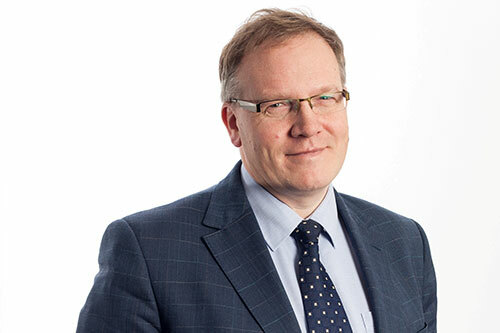 Professor of Aeronautical Engineering and Head of Engineering, Professor Chris Atkin, has been elected one of 50 Fellows of the prestigious Royal Academy of Engineering (RAEng) for 2018-2019. The Fellows, drawn from the ranks of leading engineers from the UK and around the world, have been elected in recognition of their outstanding and continuing contributions to the profession. They will add their expertise to the Fellowship of 1,600 world-leading engineers from both industry and academia. Professor Atkin says he is “delighted to be numbered among so many excellent engineers”. His current academic interests focus on innovative flow control techniques for persistent UAVs and low-emission transport aircraft. He also maintains a strategic interest in commercial and technical barriers to the application of flow control on future commercial aircraft projects. Professor Atkin is Chairman of the Engineering Council and past President of the Royal Aeronautical Society (RAeS). He leads City’s involvement in the National Wind Tunnel Facility (NWTF) comprising six other universities and funded by the Aerospace Technology Institute (ATI) and the Engineering and Physical Sciences Research Council (EPSRC) to the tune of £13.3m. The NWTF seeks to place the UK at the forefront of aerodynamics and fluid mechanics research. I am delighted to welcome all of our new Fellows to the Academy - together they epitomise the very best of UK engineering. Representing the country’s most innovative and creative minds from both academia and industry, the achievements of our new Fellows highlight the critical role engineering has in addressing major societal challenges and ensuring our readiness for the future. We are very much looking forward to working with them as we continue to fulfil our vision of engineering at the heart of a sustainable and prosperous society.